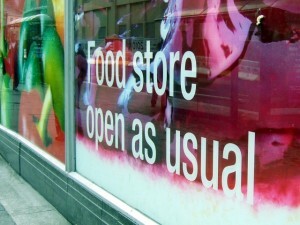 An occasional feature in the print version of Retail Week is ‘Good shop, bad shop’, where a retail commentator writes about two contrasting stores that they have recently visited – one that offers a superb store environment and customer experience, and another that – for whatever reason – leaves a less positive impression. 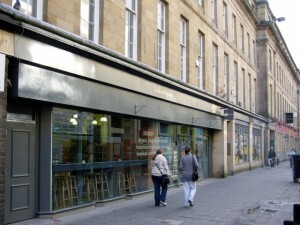 Nipping out into Newcastle at lunchtime yesterday I had my own ‘Good shop, bad shop’ experience – or, more precisely, one bad shop and two really good ones. 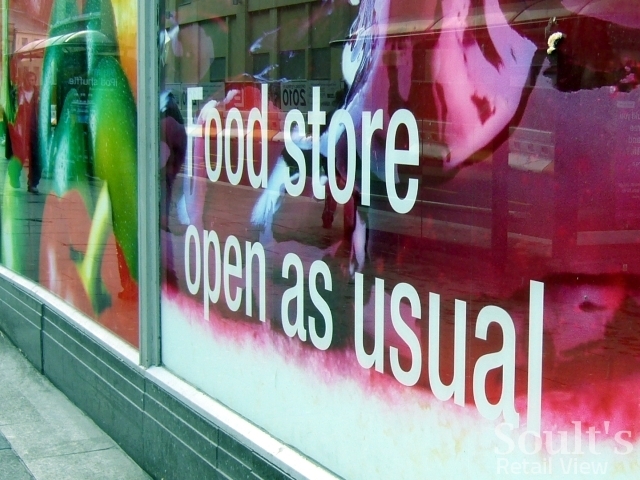 Starting off with the negative, the bad shop was the Co-op supermarket in Newgate Street – a wholy disspiriting experience. 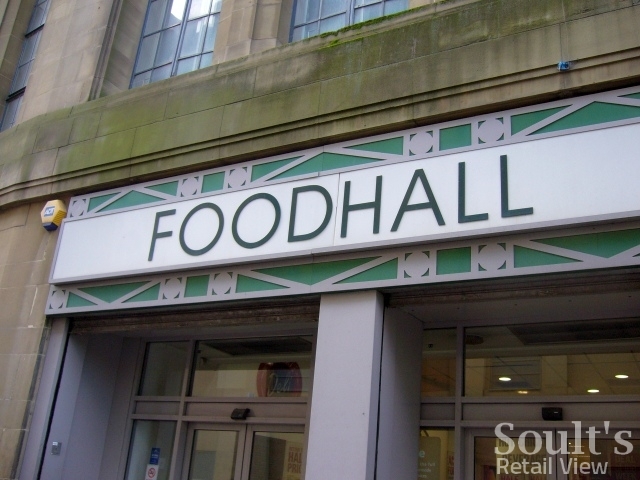 Formerly the food hall of the adjoining department store, the supermarket seems to have had no money spent on it since the department store closed down two-and-a-half years ago. What’s left on the site just feels unloved and behind the times, with bored-looking staff, long queues (as usual), and numerous broken light fittings that create an overall feeling of gloom. With the nearby Sainsbury’s Local in Gallowgate and Waitrose in Eldon Square having opened in the last couple of years, and a new Tesco Metro due to open in nearby Clayton Street in February 2010, it’s difficult to see, going forward, what role this particular Co-op store is going to have. Certainly, it needs to do much better than this if it’s to stand a chance against its newer, shinier competitors and have a longer-term future. 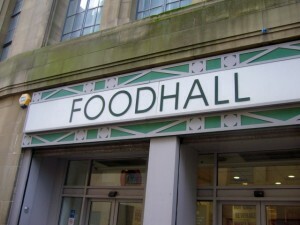 Indeed, given that the rest of the iconic Co-op building is unlikely to be brought back into use while the food hall remains in place, it might be best to put it out of its misery sooner rather than later. Thankfully my trip into town was not all gloom and doom. 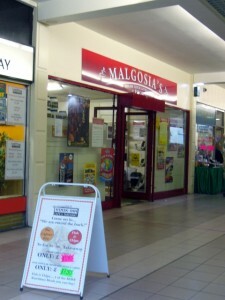 Along the road, the otherwise dismal Newgate Shopping Centre boasts a hidden gem in the form of Malgosia’s – a food shop that badges itself as a ‘Polish, Czech and Lithuanian’ supermarket. The interior has few frills – perhaps as well given the shopping centre’s proposed redevelopment – but the shop is quirky and interesting, and certainly seems to be popular among Tyneside’s large Polish population. Moreover, it has an impressive range of east European groceries, deli items and newspapers, served with a smile by its friendly Polish-speaking staff – that’s certainly more than the Co-op manages to offer. 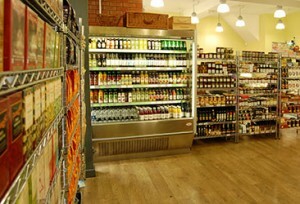 Good shop #2 is the splendid Olive and Bean in nearby Clayton Street. 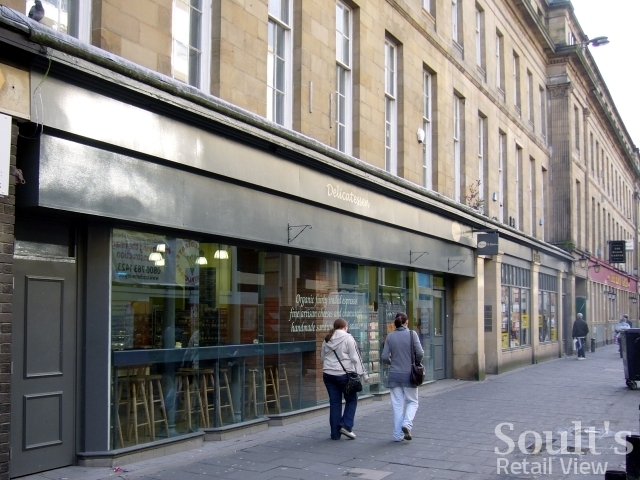 Opened about 18 months ago, Olive and Bean is truly a delight – an upmarket delicatessen and coffee shop in a unit that used to be occupied by a Barnardo’s charity shop, and that really lifts what has recently been the rather seedy back end of Eldon Square and the Grainger Market. 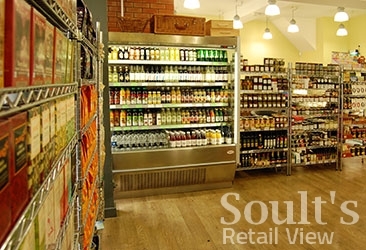 The interior is clean and fresh at the same time as being warm and cosy, with simple metal shelving and wooden flooring providing a suitable backdrop to the array of chutneys, jams, coffees and oils that are on offer. Meanwhile, the deli counters feature an appealing range of cooked meats and cheeses. The shop was certainly thronged when I visited at lunchtime yesterday, with the seating area completely full of people enjoying coffees, cakes and paninis, and a steady queue of customers – me included – waiting to buy sandwiches to take away. All sandwiches are made to order, and my mozzarella, tomato and pesto baguette – while not cheap – definitely ranks as one of the tastiest sandwiches I’ve ever had. 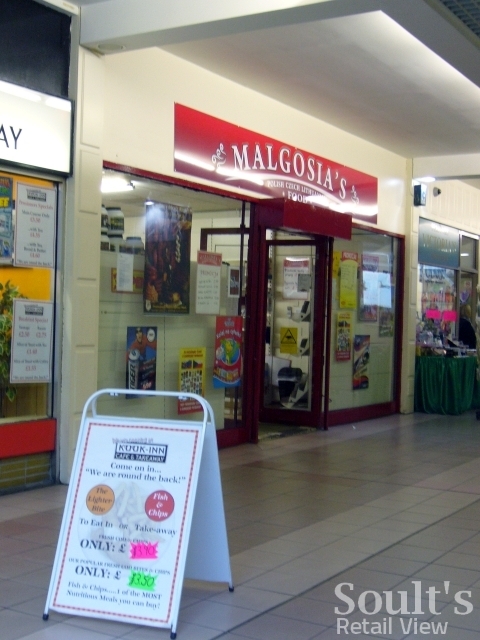 It’s great that Newcastle has all the big names stores such as John Lewis and Fenwick, but it’s the individual, interesting shops like Malgosia’s and Olive and Bean that really give a town or city centre a distinctive character. Next story Hollister’s fictitious brand story – does it matter? The amount of money that has been lavished on Newgate Street store over the years was always money down the drain as far as I was concerned.